Intaglio comes from the Italian word intagliare, meaning, “to incise.” In intaglio printing, an image is incised with a pointed tool or “bitten” with acid into a metal plate, usually copper or zinc. The plate is covered with ink and then wiped so that only the incised grooves contain ink. The plate and a dampened sheet of paper are then run through a press which applies pressure to create the print. Usually the paper sheet is larger than the plate so that the physical impress of the plate edges, or the platemark, shows on the paper. The ink on the print tends to be slightly raised above the surface of the paper. 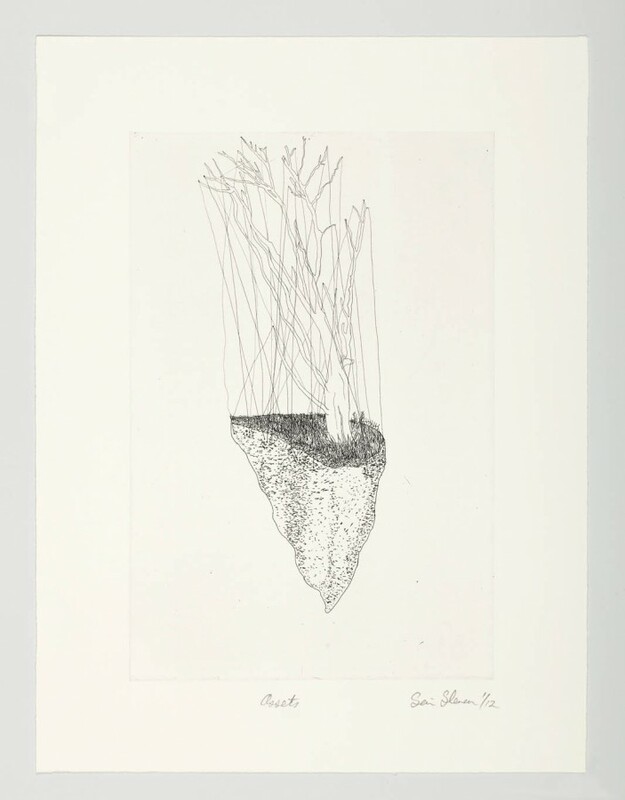 Drypoint prints are created by scratching a drawing into a metal plate with a needle or other sharp tool. This technique allows the greatest freedom of line, from the most delicate hairline to the heaviest gash. 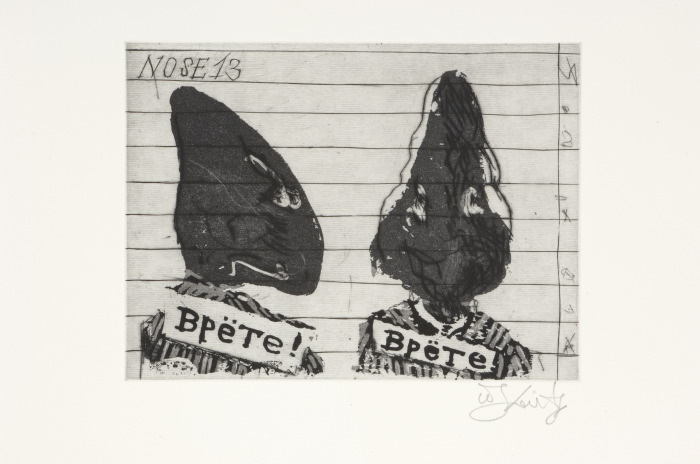 In drypoint the burr is not scraped away from the surface but stays on the surface of the plate to print a velvety cloud of ink until it is worn away by repeated printings. Drypoint plates (particularly the burr on them) wear more quickly than etched or engraved plates and therefore allow for fewer satisfactory impressions and show far greater differences from first impression to last. 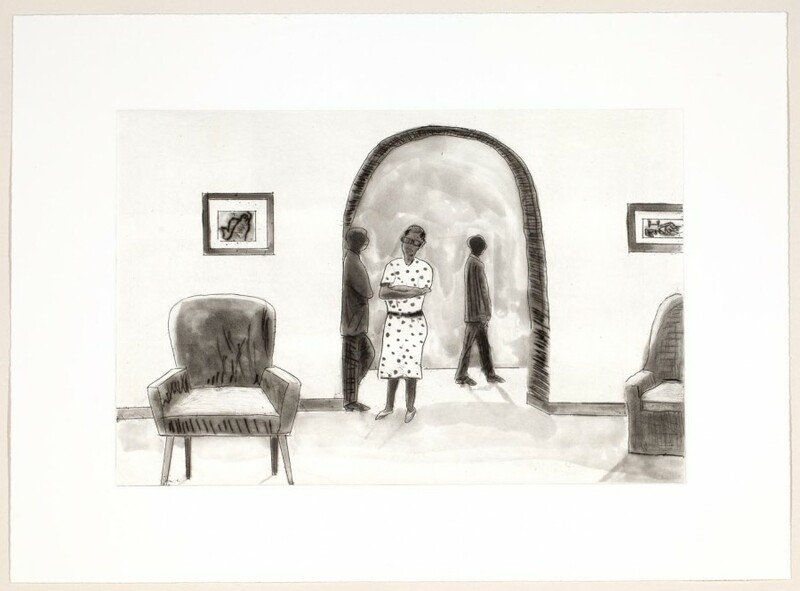 See examples of works that have drypoint. Engraving is a process in which a plate is marked or incised with a tool called a burin. A burin works on a copper plate like a plough on a field. As it is moved across the plate, copper shavings, called burr, are forced to either side of the lines being created and these are usually cleaned from the plate before inking. An engraved line may be deep or fine, has a sharp and clean appearance and tapers to an end. The process is slow and painstaking and generally produces formal-looking results. See examples of works that have engraving. 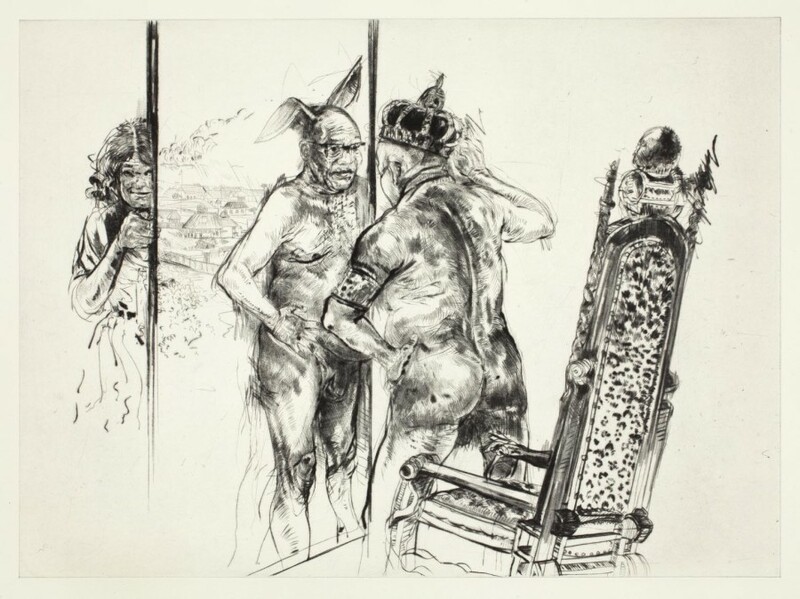 Etching has been a favorite technique for artists for centuries, largely because the method of inscribing the image is so similar to drawing with a pencil or pen. An etching begins with a metal plate (originally iron but now usually copper) that has been coated with a waxy substance called a “ground.” The artist creates the composition by drawing through the ground with a stylus to expose the metal. The plate is then immersed in an acid bath which “bites” or chemically dissolves the metal in the exposed lines. For printing the ground is removed, the plate is inked and then wiped clean. It is then covered with a sheet of dampened paper and run through a press, which not only transfers the ink but forces the paper into the lines, resulting in the raised character of the lines on the impression. Etched lines usually have blunt rather than tapering ends. An artist can choose either to work with a hard ground or a soft ground. In hardground etching, the artist draws directly onto a hard, waxy surface that resists the mark-making process, allowing the result to be very much like drawing. 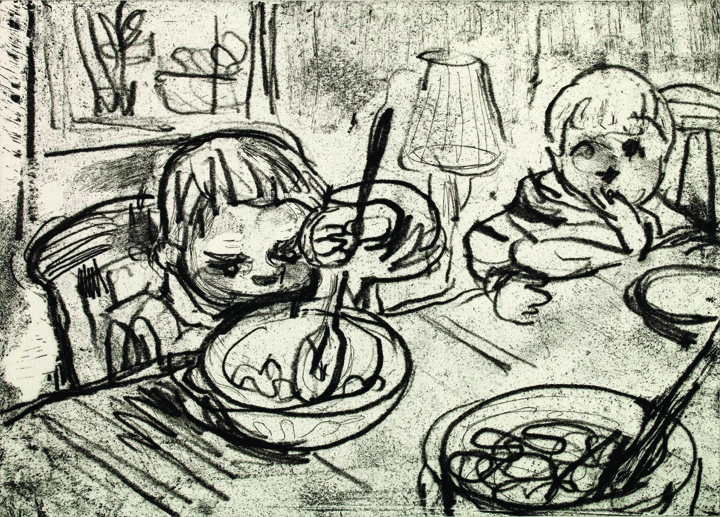 In softground etching, the artist draws instead on a piece of paper that covers a soft wax coating on the plate. When the paper is lifted, it removes the wax where the pencil pressed. 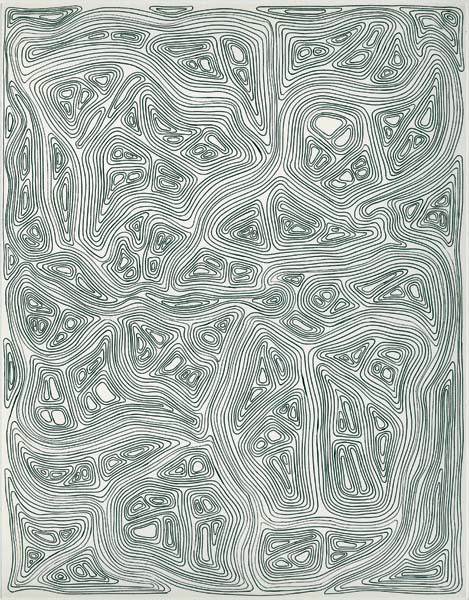 Lines in a soft ground etching are often more fuzzy at the edges, like crayon lines. An artist can also use the waxy soft ground to make imprints of other things besides a pencil, like leaves or lace. Aquatint is an etching technique that creates printed tonal areas. Powdered resin is distributed across a metal plate and adhered through heating. When the plate is submerged in an acid bath, tiny areas unprotected by the resin particles are “eaten away” or “bitten”, creating recesses. The design, wholly in tonal areas not line, is produced by protecting certain areas of the plate from the acid with an impervious varnish, by multiple bitings to produce different degrees of darkness, and by the use of several different resins with different grains. See examples of works with aquatint. Spitbite aquatint involves painting strong acid directly onto the aquatint ground of a prepared plate. Depending upon the time the acid is left on the plate, light to dark tones can be achieved. To control the acid application, saliva, ethylene glycol or Kodak Photoflo solution can be used. Traditionally, a clean brush was coated with saliva, dipped into nitric acid and brushed onto the ground, hence the term “spitbite.” Spitbiting gives an effect similar to a watercolor wash.
For sugarlift aquatint, a syrupy solution of sugar or condensed milk is painted onto the metal surface prior to it being coated in a liquid etching ground or ‘stop out’ varnish. When later the plate is placed in hot water the sugar dissolves and lifts off leaving the image. The plate can then be etched. See examples of works with sugarlift aquatint. Burnishing involves the use of a curved tool to flatten and smooth areas of a copper plate that have already been etched in acid. In this technique, the artist sketches a composition on a block of material and then cuts away pieces from the surface, leaving a raised area which will receive the ink. A roller is then used to apply ink to this raised surface and the image transferred to paper with a press or by hand burnishing or rubbing. Since the recessed, cut-away areas do not receive ink, they appear white on the printed image. Relief prints are characterized by bold dark-light contrasts and an impress into the paper of the inked lines. The primary relief techniques are woodcut and linocut. Woodcut is the earliest and most enduring of all print techniques, in which a block of wood is used as the matrix. While woodcuts were first seen in ninth-century China, Western artists have made woodcut prints since the fourteenth century. They were originally conceived as religions icons and sold as souvenirs of a pilgrimage to some holy site. Woodcut soon became a popular medium for the mass distribution of religious and instructive imagery in Europe, not least through books since, with the invention of movable type, the woodblock matrix could be set in the same press with the text and both text and image printed together. In the seventeenth and eighteenth centuries, woodcuts were developed in Japan to an exceptional level of artistic achievement, known as the ukiyo-e period or style. 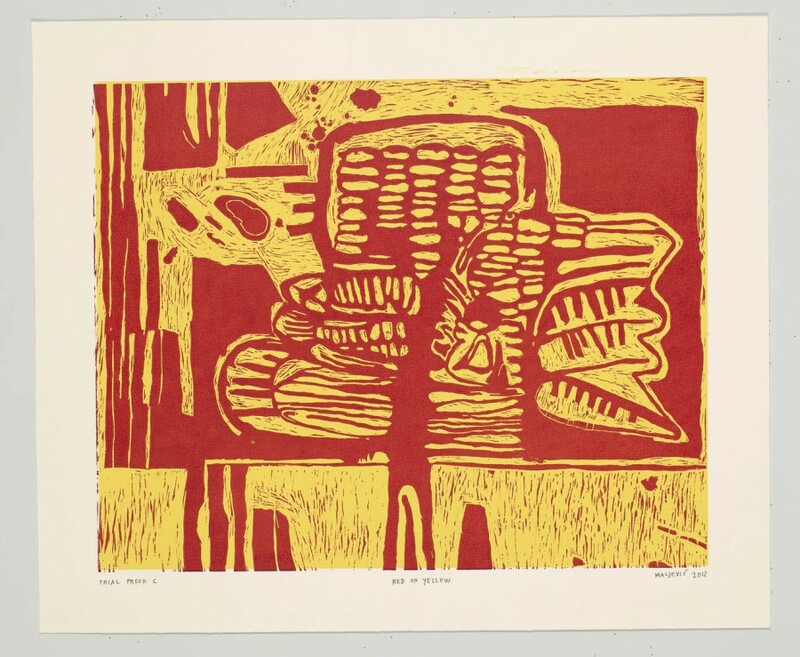 See examples of works with woodcut. Linocuts are printed from a linoleum tile. The linoleum is handled in exactly the same way as a wood block but, since it does not have a wood grain, the surface of the resulting print will have less texture. The material takes all types of lines but is most suited to large designs with contrasting tints. See examples of works with linocut. Monotypes are one-of-a-kind prints. They have been known to be called the “painterly print” as well as the “printer’s painting”. 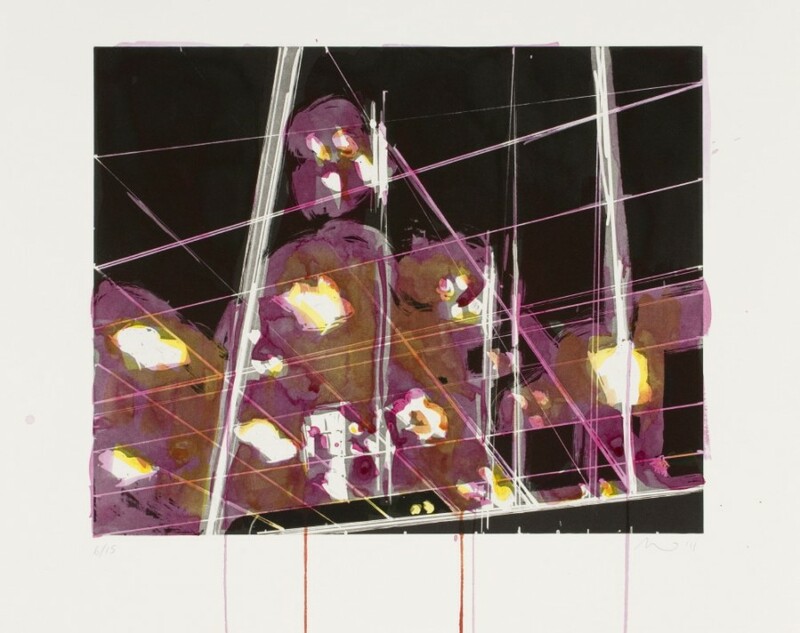 Monotype brings together elements of painting, drawing and printmaking. The words monotype and monoprint are often used interchangeably; however, there is a difference. A monoprint may use some form of repeatable layer or element in the production of the image, whereas a monotype is a completely unique image that is not repeated. 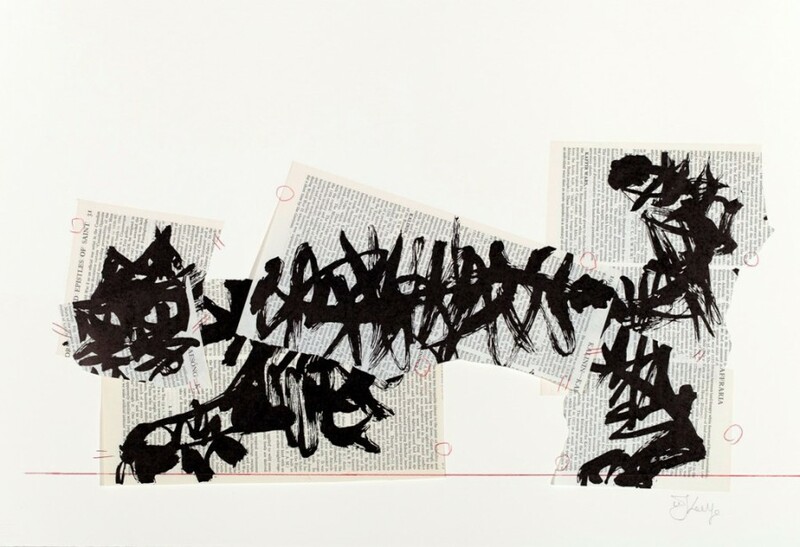 Working on an unarticulated surface or plate, the artist applies a layer of ink, which is then wiped off in sections, in order to create an image in a reductive fashion. The ink can also be applied directly to the surface in an additive fashion, much like a painting or drawing. The image is put through the press and transferred from the plate onto a piece of paper. There is then the added option of drawing into the print once it has dried, or to add further physical layers, such as chine collé (a collage element, usually thin paper). 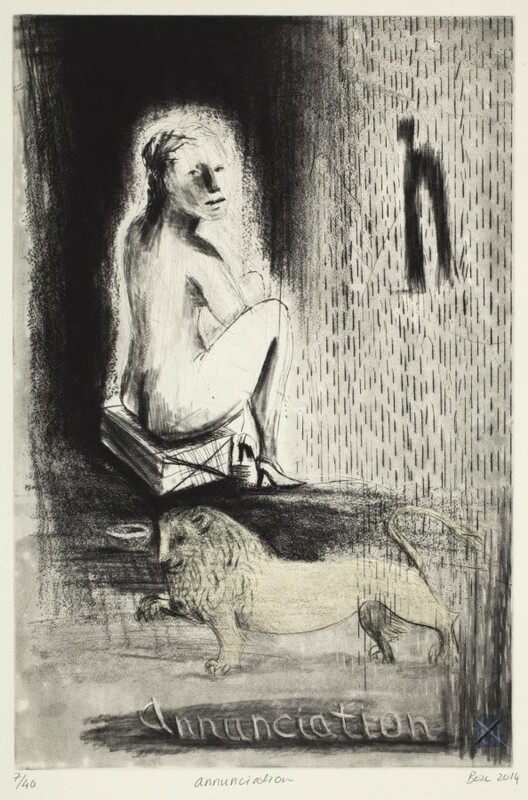 See examples of more monotypes. 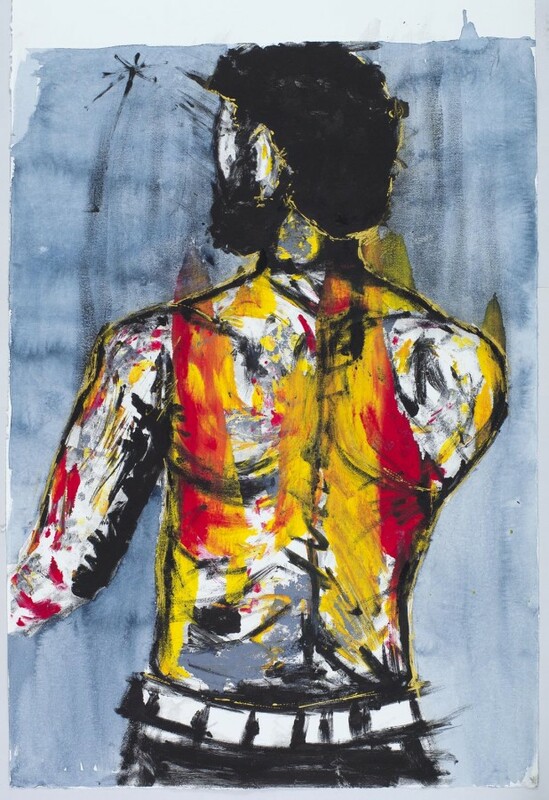 See David Koloane making watercolour monotypes. Chine collé is a special technique in printmaking, in which the image is transferred to a surface that is bonded to a heavier support in the printing process. One purpose is to allow the printmaker to print on a much more delicate surface, such as Japanese paper or linen, which pulls finer details off the plate. Another purpose is to provide a background colour behind the image that is different from the surrounding backing sheet. The most common method of using chine collé is to trim the thinner paper to the size required, then apply an adhesive paste to the paper and allow it to dry. When the printmaker is ready to print, the paper is arranged on the press with the plate and the (dampened) heavier paper and the ensemble is run through a press. See examples of works with chine collé. In printmaking, hand painting refers either to the addition of marks to a print once it has already been printed, or it refers to the addition of printer’s ink with a paint brush to a plate that has been wiped down and is ready to print. Hand-painting lends a unique quality to each work in an edition as the marks have been made on each individual print separately. See Deborah Bell hand-painting Bride Stripped Bare.